Let's start the new year off right. I started my business with passion in my heart and an undeniable need to always be creating. As the years have passed and I find myself entering my 8th full season (when did that happen?!) I reflect on how my business and myself have evolved. This thing I do-photography-it's more than just a job for me. It's a vehicle to spread positivity and light to others. I love to tell the stories of the beautiful human beings that carefully select me to document their most cherished occasions and milestones. The images I capture and choose to share do so much more than show a pretty picture. They are proof that love and joy exist in this world. And THAT is all I need to keep inspiring and moving me to continue to serve as an artist and storyteller. I hope you'll join me at least once a week as I share the stories of amazing couples and families right here on the blog. I look forward to not only sharing the stories of others but my story as well. I believe it's just as important for my audience and beloved clients (and potential clients!) to get to know who I am, what I do and why I do it! I'm sharing the story of Josh and Amanda this evening. A simple and beautiful story, Amanda and Josh met not long after Amanda came to NY! The rest is history! Amanda and I actually knew eachother previously so I was absolutely honored when she requested that I capture their engagement potraits. 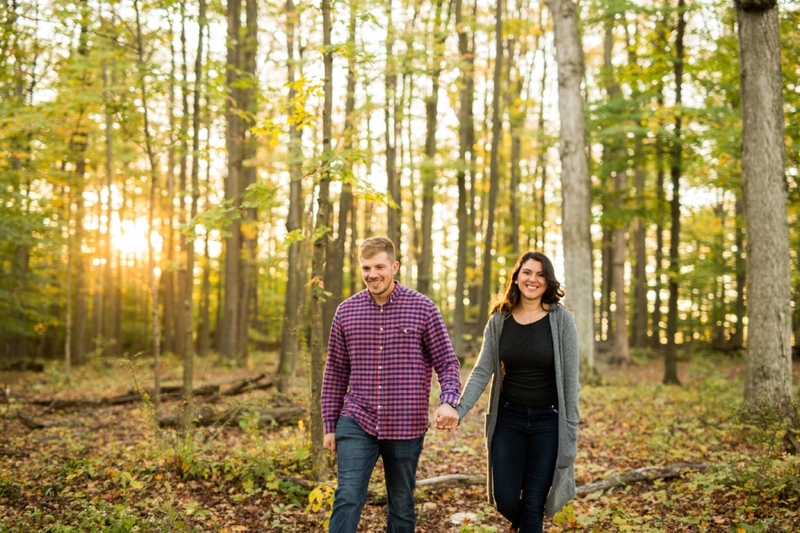 Josh and Amanda selected Knox Farms State Park as their location. The park means a lot to them, as they are there on a weekly basis with their pup, roaming the trails and enjoying quality time together. It was a PERFECT fall evening. 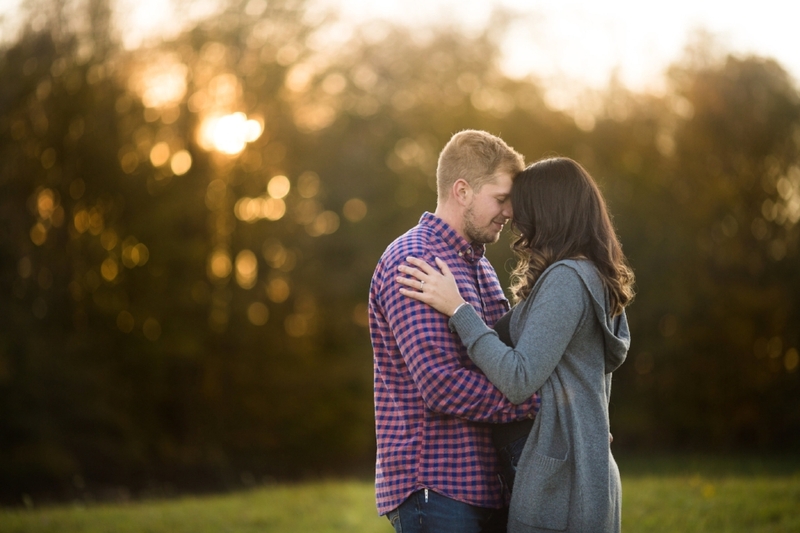 I encouraged them to do a session not long before sunset for beautiful golden light and moody shadows. Mother Nature did not dissappoint and neither did their chemistry. Some of my favorite images I have created in a long time, their engagement session tells a beautiful story of natural love, devotion and warmth between two souls. What makes a great combination? Creative minds joining forces to create a smashingly beautiful and unique wedding! I met Alyssa and Greg about a year ago over a cup of coffee. I knew immediately I really wanted to work with them. They seemed so laid back, personable, and creative. Alyssa is a Graphic Designer with a true passion for the visual arts and all things funky and different. And I loved that! The second Alyssa told me they were having a bagpiper playing their cocktail hour I was reeled in; hook, line and sinker! I mean, have you really EVER been to a wedding where there's a bagpiper playing?! Unless you were at Alyssa and Greg's wedding chances are no. Needless to say we became a team and I couldn't be more thrilled to be sharing their story here on the blog. Everything from the "history" of Alyssa's dress to the detailed and unique elements in every part of their day made for a truly remarkable and memorable wedding. 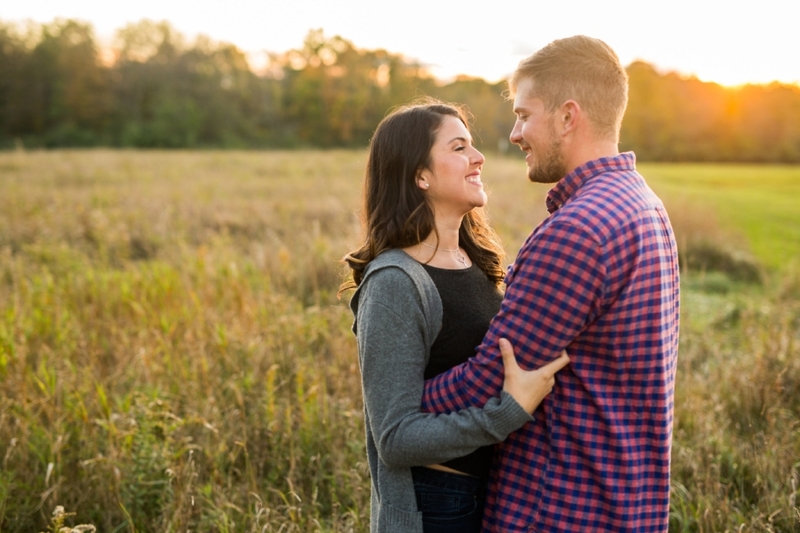 I could not help but beam with smiles as these two nailed every shot and constantly gave beautiful, organic moments between each other for me to capture. Here are some of our favorite shots from the day and the story of Alyssa and Greg's weddings. Enjoy! How can you not love the wallpaper?! Our story began at Greg's grandmother's home where the girls were getting ready. This was the kind of house you walk into and feel an immediate warmth and comfort. I thought this floral paper provided a funky accent to Alyssa's dress and a great background as well. Alyssa hand-painted her shoes as well as her bridesmaids. So cool! So the story of the dress: MacKenzie, Alyssa's sister, wore this dress 10 years ago for her wedding. Alyssa told me how at the holidays this past winter she decided to give it a try and when it fit, that was it! How fun and special that Alyssa and her sister wore the same dress for their weddings! Here The girls reminisce on Mackenzie's wedding and share a laugh. Clearly, every bride should have a few seamstresses who work for a bridal store on hand for their wedding day! Alyssa was lucky enough to have just that. I love this image of the dress "triage." Greg couldn't be more happy or proud. This is one of my favorite moments at every wedding, one that even gets me choked up! The priest not only shared wisdom and kind words for the day, he also share a sense of humor and had everyone laughing. Ah! Just too many great moments to NOT share!!!! Little mini terrariums made by Alyssa to hold the place cards. So sweet. I felt especially cool that she made one for me. "Ain't no mountain high, ain't no valley low…" all the bridesmaids broke into song for a group speech and toast to Alyssa and Greg. Wedding cake?! NO! How about Baklava instead. A favorite of Alyssa and Greg's. Plus she made that beautiful topper by hand. So much talent. Let the party begin! Alyssa and Greg had a packed dance floor all night and everyone was having a good time! Thank you for inviting me to be a part of your big day Alyssa and Greg! I had an amazing time working with you two! This wedding season in Buffalo has been awesome so far! So many great couples, a ton of unique details that make me want to plan a wedding all over again (I'm pretty sure my husband would NOT go for that! ), and some unique photo locations and new venues. At Michelle Day Photography we have been so incredibly busy with weddings nearly every weekend and it. has. been. AWESOME! Nevertheless it has also put me SLIGHTLY behind on my blog love so, without further ado, here it goes! A few short weeks ago on May 23, I traveled to Eden, NY to photograph the wedding of Alyssa and Bob. We met over a year ago over a cup of coffee, talked about their plans for the big day and got to know each other a bit more. I remember sitting across the table from them, hoping I was the lucky photographer to capture their wedding day. The way Alyssa smiled sweetly at Bob and Bob just smiled back. It was so evident that these two had a beautiful chemistry and were meant to be. 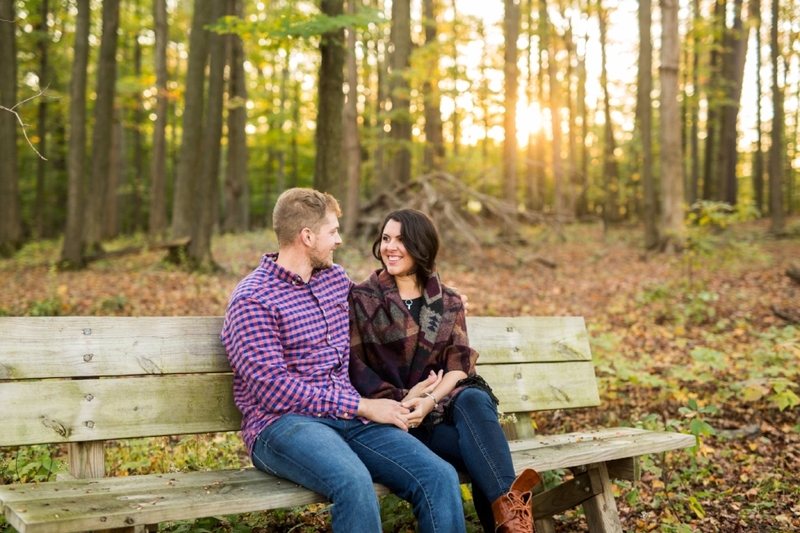 We met for our engagement session at Knox Farms State Park on a blustery October day. When they were down for sitting in a field of tall grass, despite a bit of dampness, I knew they were the go-with-the-flow type of couple and their wedding would be great! Well, I was right! Bob and Alyssa were married at Saints Peter and Paul Roman Catholic Church in Hamburg, NY and their reception was at the Marienthal Country Inn in Langford, NY. Five Star Productions provided the entertainment for the evening and these guys were TOP NOTCH! They kept that dance floor packed all night! Here are some of our favorite shots from Alyssa and Bob's hometown wedding! Enjoy! Alyssa's mom keeps gorgeous gardens that are enough to make anyone jealous at their home! It made for a perfect backdrop for some shots of Alyssa's dress! I love little touches of sentiment like this. Alyssa's mom wrote her a beautiful note for her to read on the big day. Such a fun group of ladies!!! Remarkably one of my favorite moments of every wedding: That moment when the groom sees his bride coming down the aisle. The best man is looking on proud as can be too. I love everything about this image! Probably needless to say but, this church is MASSIVE!!! And beautiful! One of the longest aisles I have ever seen! Taking in some good, sound advice from the Deacon and listening very intently! We headed to Winter's Pond in Langford, NY. I absolutely love shooting here! It's incredibly unique and full of endless possibilities. If we had hours we could have been lost taking photo after photo after photo. And this crew was up for anything! Even sitting on an old, semi-dingy wagon. I love it! My absolute FAVORTIE shot of the day! We all has a laugh as Alyssa's veil was suddenly windswept and almost took a dive in the pond. I ran after it but thankfully did not need to make a rescue! Arrival by horse-drawn carriage?! Now that's riding in style! Five Star Productions had the dance floor PACKED all night! Thank you Alyssa and Bob for a wonderful wedding! I had a great time working with you to capture some beautiful memories! Buffalo NY wedding photographers, Michelle Day Photography is a boutique photography business in Buffalo, NY. Owner Michelle Day provides a unique and non-mainstream experience to her brides and families. Planning a wedding in Buffalo, NY, Rochester or anywhere in Western New York? Contact Michelle Day Photography today!